Every child learns about the all powerful genie trapped inside a bottle or lamp. This genie needs a master to release it from the bottle. The master gets his or her one or three wishes and then what? The genie that has power to give whatever is desired is obviously very powerful. It does not want to return to the lamp or bottle and the master cannot force it to return. The genie MUST have purpose or else it becomes a nuisance to itself and to everyone. We humans are not much different from the genie in the bottle. 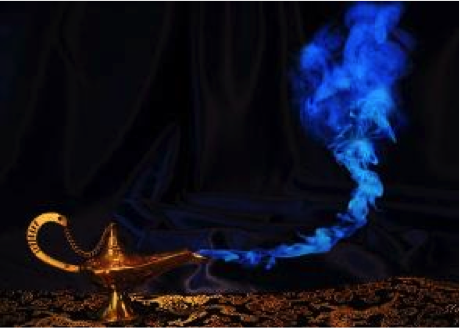 Once discovered and released like the Genie the power of individuals and teams and organisations can be immense and once they get committed to a cause they are virtually unstoppable. Most of us have some form of genius within us, but we have to discover it. Sadly most of us are in a kind of stupor imposed on us by our social conditioning. Our family, teachers, governments, society and employers. They do this because all they want is to use people, rather exploit would be more appropriate. The danger with exploitive and one sided relationships is that they are not much fun and tend to be extremely stressful. A seasoned exploiter also develops powerful and often terrible means to perpetuate their exploitive rule. Most people come to accept that their exploitation is a fact of life and accept it as such. This is sad because the potential for humans once unshackled and illuminated can be phenomenal. As a consultant, I am often asked to assist in motivating people in organisations and also families. I am often successful and therein lies my failure. The people who sought my assistance often cannot cannot manage the human energy that is released and eventually everyone is frustrated, unhappy and often very very angry. I have learnt that the human spirit is like a passive volcano which looks harmless and even serene. Once motivated and awoken, the volcano begins to erupt spewing out enormous amounts of lava like energy. If untapped the intense energy of the eruption can cause immense damage. It requires leaders of skill, wisdom, and purpose to tap this energy. Sadly the problem in a majority of cases is while masters are capable of change they do not change. The master rather than channelize the fantastic power of the Genie tries to control it in an exploitive manner. The genie is now free and very powerful and has to be treated with respect and intelligence. 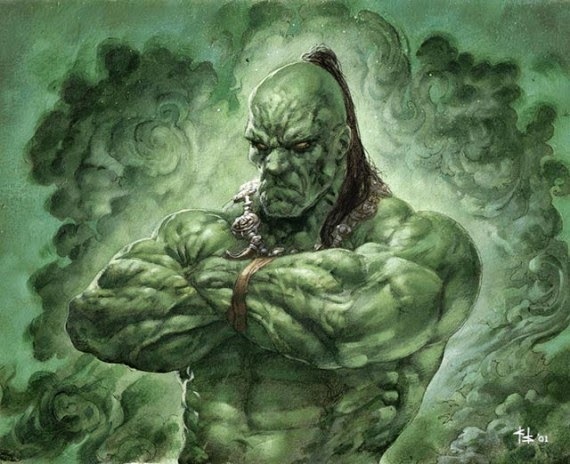 If you do battle with the Genie the consequences can be harmful to you. If you want change then you must be the first to change. If not then it is best to let the genie remain sleeping within the lamp /bottle and continue with your little exploitive games because once released the genie will never return to the bottle. People once awoken, are easier to lead but more difficult to drive. The CMD (Chairman & Managing Director) will call a meeting and scream and rant on how useless and lazy his entire management team is and how they have let the organisation's profitability slide. blah, blah, blah!!!! The boss desperately searches for a scapegoat. Sometimes sacrificial lambs are found and a few heads roll and the situation only deteriorates because attacking people rather problems never helps. Sometimes the boss realises the truth, that there is no one individual or department or function that can be specifically blamed except the boss himself. Lessons from bike maker Ideal Jawa. I remember ever since I was in the ninth grade in school, I started spending holidays and weekends at the factory accompanying our Uncle Manohar Singh ji. It was great fun and many days were spent absorbing so much by just casually observing things. I often accompanied my Dad, Uncle and quality staff whenever they visited the Jawa plant in Mysore for a number of issues. I observed, but did not realise until much later, that the plant had a rather large workforce yet there were very few managers, supervisors and other staff. Ideal Jawa was owned and managed by the dynamic duo Irani brothers Rustom ji (Commercial) and Farouk ji (Technical). 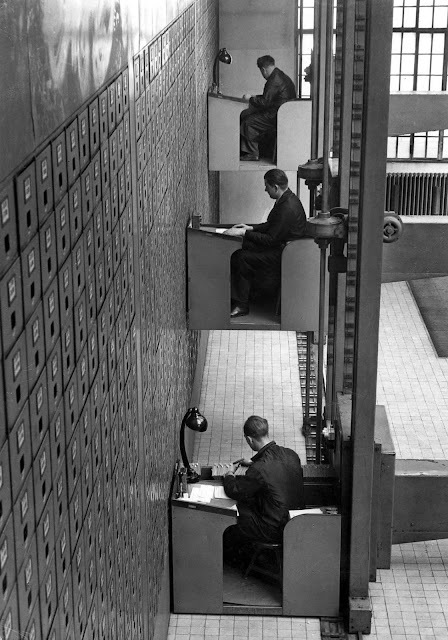 “The offices of the Central Social Institution of Prague, Czechoslovakia with the largest vertical letter file in the world. Consisting of cabinets arranged from floor to ceiling tiers covering over 4000 square feet containing over 3000 drawers 10 feet long. It has electric operated elevator desks which rise, fall and move left or right at the push of a button. to stop just before drawer desired. The drawers also open and close electronically. Thus work which formerly taxed 400 workers is now done by 20 with a minimum of effort.